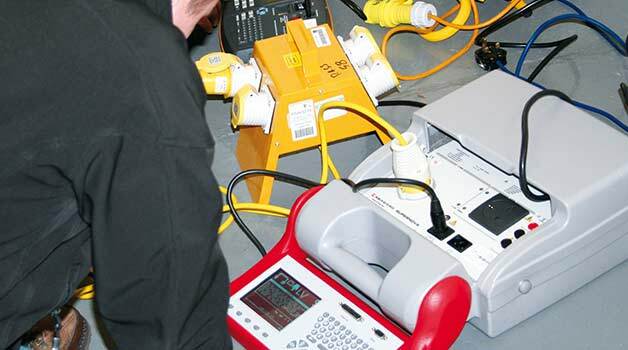 Running for two days at our Manchester training venue, our PAT testing course teaches both the theory and requirements of PAT testing and also allows candidates to carry out testing themselves in our practical section of the course. Throughout the two days candidates will also take a mock exam to maximise your chances of passing the official exam at the end of the course. After a mock exam there is an individual practical assessments and an online, 50 question exam that lasts for one hour. Every attendee will receive a certificate of attendance from PASS. Those who successfully complete the course will receive a City & Guilds In-Service Inspection and Testing of Electrical Equipment (2377-22) certificate that qualifies them to carry out PAT testing. The course is held over two consecutive days at our Manchester training venue. Each day starts at 9AM and finishes at 5PM with an hour’s break for lunch. The total study time of this course is 14 hours. Candidates should purchase, read and bring a copy of the IET Code of Practice for In-Service Inspection and testing to the course. If you contact us in advance we can sell you this book before your course. Looking to learn more about PAT testing? Our Manchester PAT training course gives you the knowledge, skills and accreditations needed to become a fully qualified PAT testing professional. Anyone is welcome on this course; you don’t have to be a qualified electrician to PAT test, although a basic understanding of electricity and how it works is an advantage. For more information or assistance about this course please contact us on 01642 987 978 and we’ll be happy to help.